Firm founder Laura Dale is an experienced attorney who handles international and domestic family law cases. 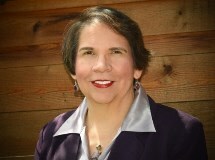 She is board certified in family law by the Texas Board of Legal Specialization. Laura is a certified mediator, collaborative law attorney and Texas parenting coordinator. Laura also serves as legal counsel to the consulate general of France in Houston. Liza A. Greene is certified in both family law and consumer bankruptcy by the Texas Board of Legal Specialization. Liza has practiced law for 34 years and has extensive experience litigating family law issues in bankruptcy court. Debra S. Herndon (Casaceli) advises clients on all aspects of family law, divorce, adoption, paternity and mediation issues. Debra is board certified, and is experienced in drafting marital property agreements, including pre- and post-nuptial agreements. Ashley Tomlinson has a background in domestic violence law and international law. Ashley works on international child abduction cases at the firm and also has considerable experience handling appeals and complex motions. John Ransom speaks French and has considerable experience handling prenuptial and postnuptial agreements, complex property issues and bankruptcy. Michael Herndon is a skilled family law attorney who primarily focuses on cases involving complex property division litigation and grandparents' rights. He gained most of his experience working with closely held businesses from jobs held prior to attending law school. Nicholas has exclusively practiced family law, handling cases ranging from uncontested divorces to complex property cases involving child custody. Shannon graduated from South Texas College of Law Houston in the top 1/3rd of her class. Ms. Cavers is a certified family law mediator and member of the Texas Mediator Credentialing Association, parenting facilitator and parenting coordinator. To learn more about our lawyers' backgrounds, please click on the above links. Our team has the skills, experience and resources necessary to handle even the most complex family law issues. To make an appointment, please call our Houston office at 713-574-7952 or 888-572-6059, or contact us online.